New Wrexham bowling alley boss aims to strike it lucky for charity | News by Wales Express News, People Before Profit! The new manager of a Wrexham tenpin bowling centre has pledged to strike up partnerships with community groups and charities. 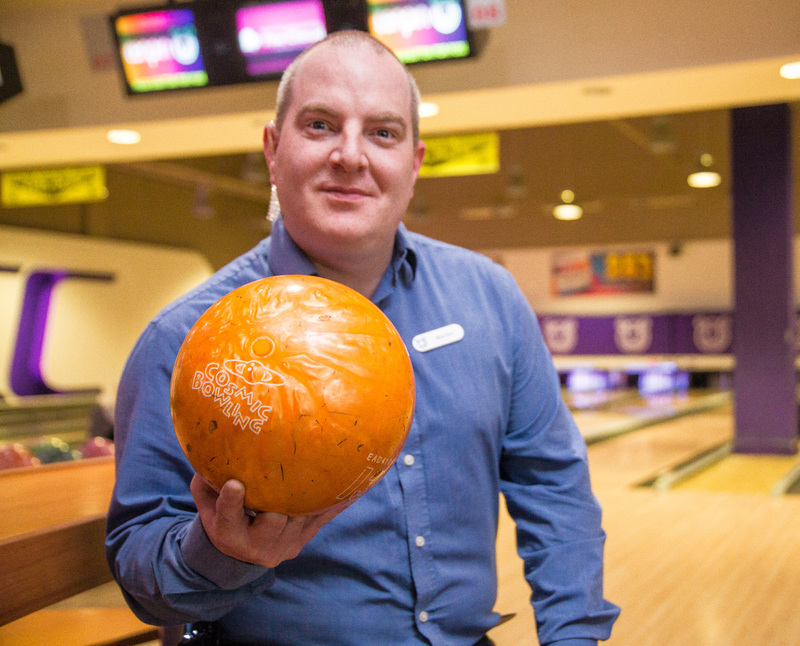 Martin Carrigan, 41, who has just taken over the reins at tenpin at Eagles Meadow Shopping Centre also wants to start special sessions for children and people with autism. He said: “We are a business of course and we can’t lose sight of that but I want to carry on the good work of my predecessor and involve as many community groups as I can. “For example, I know the Odeon cinema next door has screenings aimed at autistic children. Well, maybe we can do the same. I just need groups to get in touch and tell me what they need and we will endeavour to work with them. New manager Martin Carrigan has taken over the reins at Wrexham Eagles Meadow-based tenpin. Martin, who previously worked for Mecca Bingo, added: “It’s the same for charities. We recently had a cracking charity evening in aid of Nightingale House Hospice. Everyone had a wonderful time and thoroughly enjoyed themselves. Martin says he has previously worked in Wrexham having managed the Mecca Bingo Hall for a period of time. He said: “To be honest I’ve worked all over with Mecca and tenpin. I’ve been at Cheshire Oaks near Ellesmere Port and at Birmingham’s Star City as well as Manchester and Birkenhead. “I’m happy to be back in Wrexham though. I’ve got a really strong team who have a great deal of local knowledge. I will listen to them and take their ideas on board. “Eagles Meadow is a great place to be but I think we need to get the message out there that it doesn’t close when the shops shut. He added: “I’m hoping to be here in Wrexham a good while and really hope, alongside my excellent and enthusiastic team to really develop the business in the coming months. Eagles Meadow manager Kevin Critchley welcomed Martin to the shopping centre and says he has some great ideas to involve the local community. He said: “It’s important all our stores and leisure outlets look at how they can involve the whole community. It’s wonderful that Martin is looking at sessions for autistic children, people with disabilities and other disadvantaged groups.